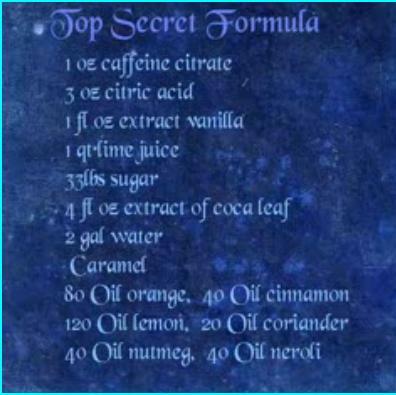 Invent the Recipe for Coke – Then Post It Online! Back in the day, I worked for Merrill Lynch. Their business model was simple. Find out what your clients want and deliver a better solution than anyone else. This was fine as far as it went. The problem arose when another bank discovered your Secret Transaction and marketed it to all your clients. This is an investment banker’s nightmare. You work for a year on a clever transaction and someone else snaffles the idea. Thus, every banker is obsessed with “proprietary transactions” and would sooner be photographed naked with a Rastafarian on Clapham Common at midnight, than disclose the solemn, sacred, secrets of The Transaction. So you can imagine my surprise when I came across the guys at RiskMetrics back in 2006 with their devil may care approach to secret transactions. Not for them the cloak and dagger performances I had been used to during my banking career. Oh no! These guys weren’t just indifferent to discovery of their cunning inventions, they positively courted attention. I was incredulous. Surely that’s IP suicide? I suggested. “Second, we’re usually one step ahead of the crowd. By the time they’ve figured out how to put the ingredients together, we’re onto the next thing. It made sense. So that’s why, now, we publish all our ideas on our website. Everything. All the Secret Sauces in every flavour. We hope everyone takes our stuff and makes it their own. And as a principle for operating in social media space, there’s no better mantra. Stick your Killer IP online, give it out for free, add value to the community and your (and your firm’s) social equity will soar.